How do you celebrate Women's Day? Some buys you chocolates and roses. Some treats you for lavish dinner, vacation and lots of pampering. 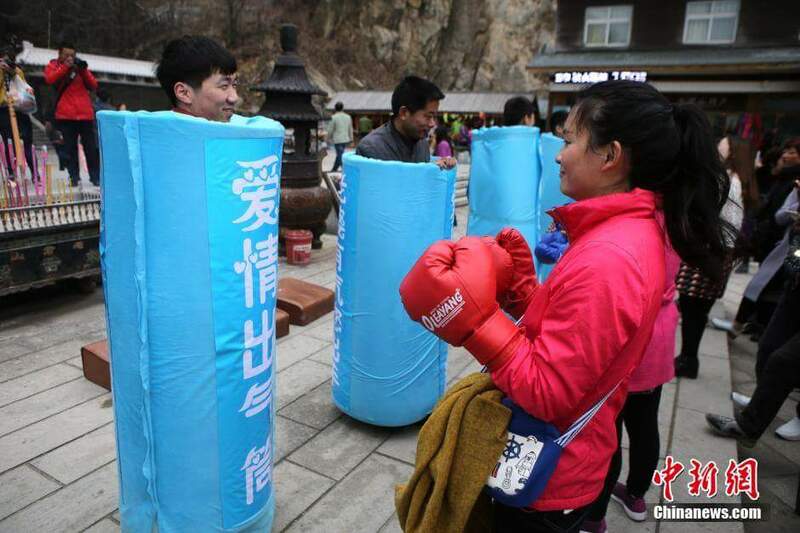 Several men in Henan Province, China put on so-called "love punching bags" and asked their wives to hit them ahead of Women's Day. This was to atone for their past mistakes. 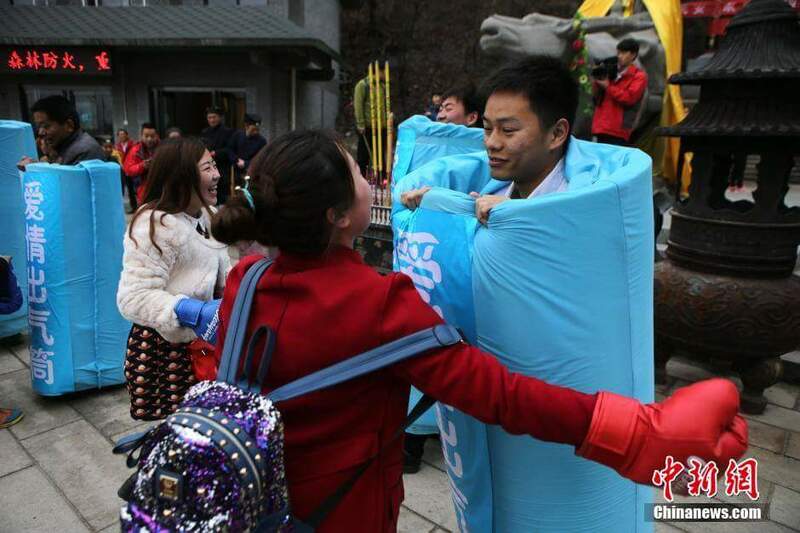 After punching, the wives hugged them as a sign of forgiveness. ....and others' even give them a tender-sweet kiss. 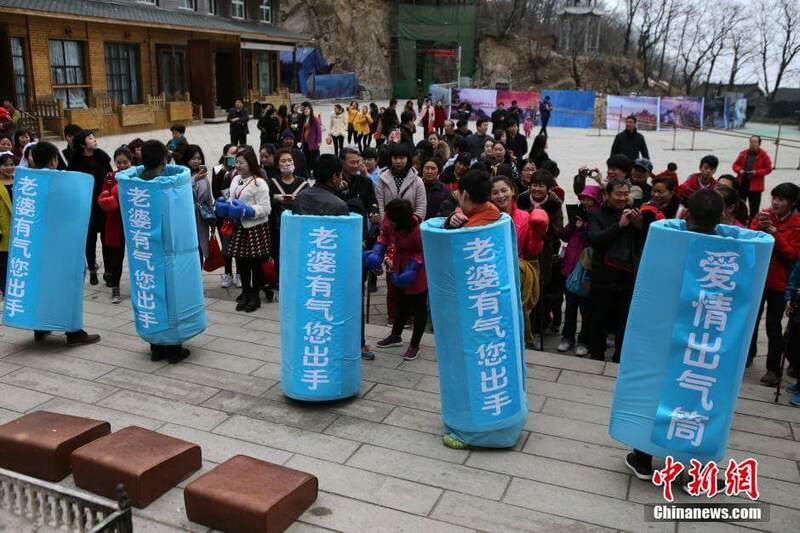 How do you celebrate Women's Day, or even your wife's day? Share it to us!